Capture some Disney magic of your own during the upcoming Disney memorabilia auction. Scheduled to occur July 18 in Sun Valley, California, this auction will coincide with the scheduling of Disneyanamania 2014, so it's sure to draw crowds of enthusiasts. Of course, you don't need to be there in person to bid on any of these fantastic items. 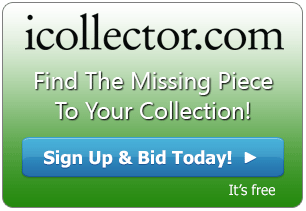 You can always place your bids remotely by simply logging on to www.iCollector.com. If you or someone you know collects Disney memorabilia, then take a look at these lots full of rare artwork, theme park signs, animatronic figures, attraction posters, costumes and autographs. Imagine being able to own a piece of the inspiration for one of the most timeless animated Disney films. 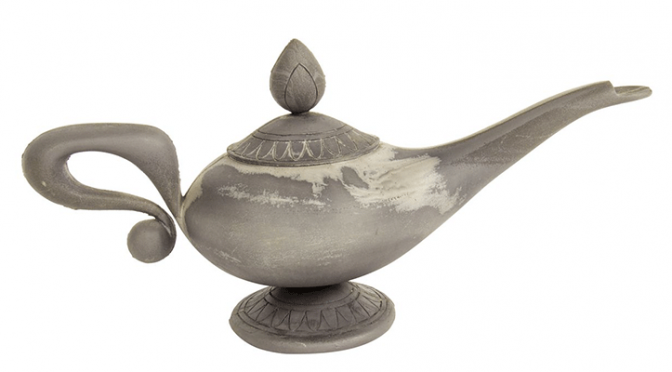 This resin maquette of Aladdin's lamp was used by the movie's animators as a model while they worked on creating the images for the film. This piece was sculpted by Ken Melton and is also signed by John Musker and Ron Clements, the films two directors, on the bottom. This piece measures 11.5 inches in length and is in good condition for display. Perhaps one of the most unique lots up for bidding in this auction, here we have an original typed letter that Walt Disney sent to the Mayor of Anaheim, Charles Pearson, 18 days before the opening of Disneyland. The letter, which expresses Disney's gratitude for Pearson's help in the process, is printed on Disney letterhead and signed by Walt. This letter comes framed and matted alongside of pictures of Walt Disney during varying phases of the park's construction. A very rare item, this would be a truly wonderful gift for any fan of the park. The perfect gift for the younger, more modern Disney fan, this attraction poster for the critically acclaimed Pixar film "Up" is complete with a signature from Ed Asner himself. The poster depicts three of the main characters being carried away into the sky by a house covered in helium balloons. Asner has signed the poster with the inscription "Love & Life–Ed Asner", and there is a cluster of balloon cutouts in the lower left corner to accent the film's themes. This poster is framed and matted, measuring 25.5-by-33.5 inches, and is in fine condition to display anywhere in your home.